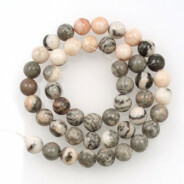 Natural Cherry Blossom Jasper 8mm Round Gemstone Beads (~50pce Strand) - 40 cm /16'" Strand. 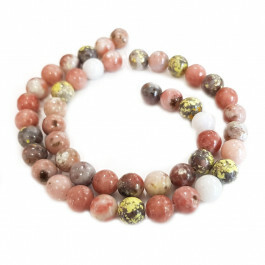 Pale shades of pink with earthy warm reddish brown tones. May also include mottled yellowy green with grey inclusions. 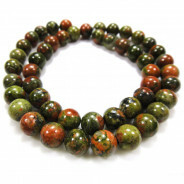 Jasper generally contains organic material and mineral oxides which give it unique colours and patterns. 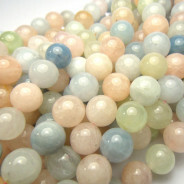 Jasper is an opaque form of Chalcedony and is often multicoloured.